So, you’ve just started back school and you’re already having heaps of homework and it’s very stressing, especially if you’re in your GCSE or A Level years! But new year, new start! Throw those old habits of rushing homework the night before or doing it on the bus to school that day. Let’s be more organised this year. Luckily, there are several things you can do to make homework less work. To start, make sure you understand your coursework/homework. Jot it down in your school planner and don’t be afraid to ask your teacher questions about the topic if you don’t understand. It’s much easier to take a minute to ask the teacher during or after class than to struggle to remember later that night, and make sure you know the deadline for handing it in so you can plan out your time. Second, whatever free time you have in school, make that a chance to do some homework, that makes you have less work to do at home. So if you have a cover lesson and they haven’t got any work so they let you read or draw, do some work. You’re going to have to do it at some point, so start it now to get it out of the way! Try and use Homework Club, too. If you haven’t got the facilities at home, Homework Club is guaranteed to have what you need. The more you get done then, the more free time you get at home! Don’t forget to pace yourself. If you don’t finish your homework during school, think about how much you have left and what else is going on that day then plan times you can do the work. 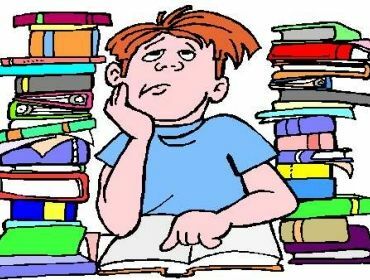 The majority of us have between 1-3 hours of homework every night! As much as we hate this, we still have to do it. We will benefit from it when we get those good grades! It’s a good idea to come up with some kind of homework schedule, especially if you’re involved in sports or activities or have an after-school job. Be careful where you do your homework, I bet most of you do it whilst on Facebook or when watching the TV, am I right? Well time to stop this! Sit down at a desk or table. Make sure the TV is off so you don’t get distracted. Also grab a snack and a drink so you don’t have an excuse to get up from your work. You need to concentrate. When doing your homework, do the hardest pieces first. You maybe tempted to do the easy stuff first, but you’ll be focused more if you do the hard work first. 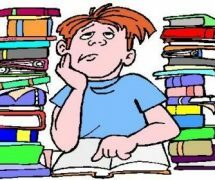 It’s best to be focused on the challenging assignments first, when you’re a little tired afterwards, then make a start on the easy stuff. If you get stuck, try hard to figure this out as best as you possibly can, but please don’t stress too much as it will mess up the rest of your homework time. Ask a sibling, parent or friend to help you go over it and help you understand, but don’t pick someone you’ll be up all night chatting with or you’ll never get it done! Don’t forget to have a break. Most people’s attention spans aren’t very long, so take some breaks while doing your homework. Sitting for too long without stretching or relaxing will make you less productive than if you stop every so often. Taking a 15-minute break every hour is a good idea for most people, but if you’re really concentrating, wait until it’s a good time to stop. Once your homework is done, you can check over it if you have extra time, then, put it straight into your bag (or if you don’t have it the next day, put it where you keep all your books and remember it’s there!) It’s not fun having to tell your teacher the lame “My dog ate my homework” excuse the next day and getting detention even though you did do the work. Remember, your teacher wasn’t with you to know you had definitely done it! Top tip:- If you really are struggling with a subject, go see the teacher in your free time or go to a catch up session or if that subject has a club, join. It will be much easier when it comes to exams!